The perfect skier’s hotel, the Furggen is directly on the piste so you can ski down to the lifts and right back to the hotel at the end of the day. It offers an informal and relaxed atmosphere, with a spacious lounge/bar and superb views over the village. 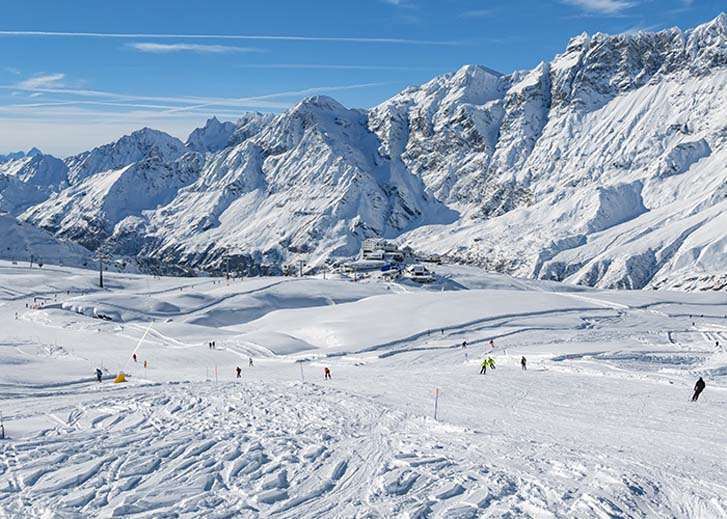 The centre of Cervinia is a 15 minute walk, but the hotel provides a free shuttle bus in the evening from 5-11.30pm (not available on 31 Dec). Location: Ski-in/Ski-out location, 400 m from the Gretaz lift. 15 minutes walk from the centre of Cervinia. My husband and I recently spent a week in Cervinia at the Hotel Furggen for our 5th anniversary and had a fantastic holiday. The staff at the hotel were brilliant, nothing a problem. The hotel itself has alot of character and the good choice at breakfast set you up for the day. Cervinia itself was great, we chose it for the height and got good snow conditions compared with the rest of Europe at the time. Great for intermediates, especially the run from Plateau Rosa to Valtournenche. Good restaurants too. On the whole relaxed and great value for money!